This beautiful oil on canvas circa 1880 is by Scottish artist William Beattie-Brown. 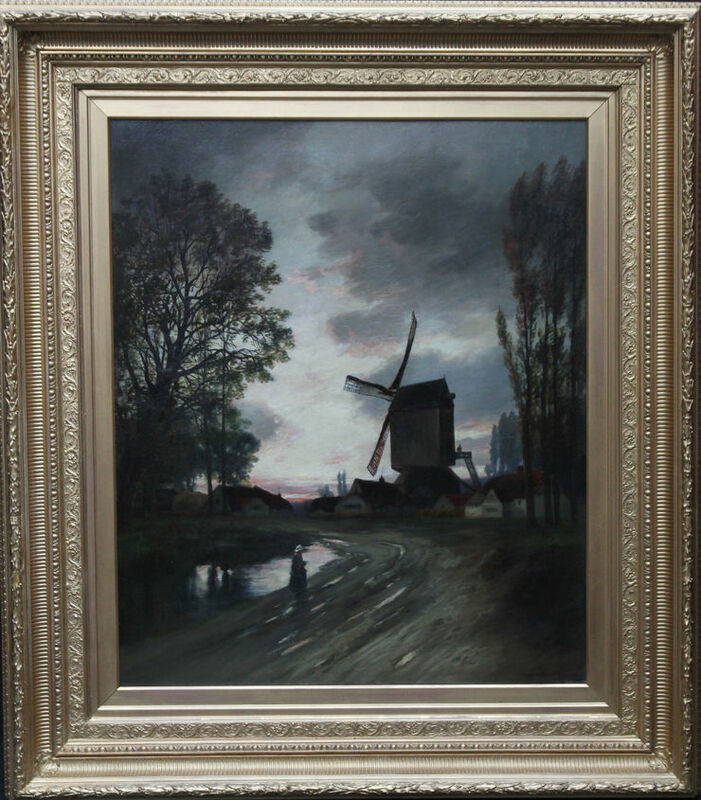 The painting is of a windmill by a river at twilight. 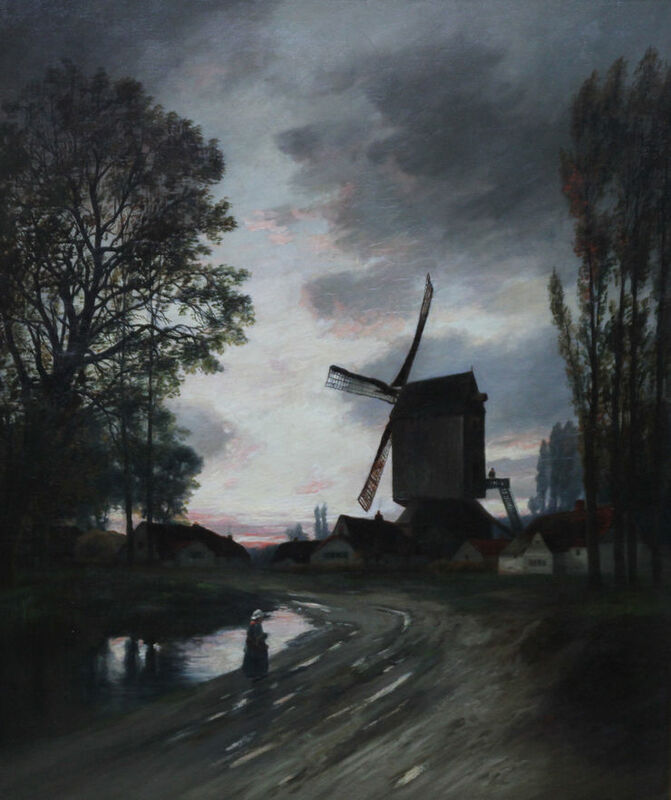 A woman is walking by the water, possibly towards a figure who is looking out towards her from the windmill. The Impressionist evening glow is beautifully reflected in the water and one can even see the material in the cloth sails of the windmill. An enchanting image. Signed lower right. Framed in an original ornate gilt frame 40 inches by 35 inches and in good condition.